Do you have a burning feeling in your stomach, chest and/or throat after you eat? Does your chest feel like it’s on fire when you lay down to bed at night? Do acidic foods such as citrus, tomato and chocolate make your symptoms worse? If so, you have acid reflux. Below are ten natural remedies for the treatment of acid reflux. While it may seem counterintuitive to put more acid into your body when you’re already suffering, there are multitudes of positive accounts of those who have used it to treat their acid reflux. Suggested use: Take 2 teaspoons of apple cider vinegar in water 3 times per day or take 2 teaspoons of apple cider vinegar twenty minutes before a meal. Suggested use: If you’re having an attack of acid reflux, drinking a few tablespoons of baking soda mixed into lukewarm water will neutralize the acid and ease your symptoms. Activated charcoal taken in pill form will absorb the excess acid in your stomach and relieve the symptoms of acid reflux. If you are taking a prescription, consult your healthcare provider before taking activated charcoal, as this treatment will interfere with the effectiveness of your medication. Digestive enzymes containing pineapple and papaya help ease the discomfort of acid reflux by helping digest proteins and promote a natural acid/alkaline balance in the body. For more on digestive enzymes, click here. Digestive enzymes can sometimes produce a laxative effect as the body cleans out toxins. This is part of the healing process. Begin slowly at first to see how you’ll react. Aloe Vera Juice helps to sooth the irritation in the throat and esophagus of those suffering from acid reflux. Suggested use: Take ¼ cup twenty minutes before a meal. Use only Aloe Vera juice made for internal use. The use of a leaf directly from a plant has a powerful laxative effect and should not be used for this purpose. Extra Virgin Pine Nut oil is used in Russia, Europe and China for a wide array of digestive maladies including acid reflux. Extra Virgin Pine Nut Oil has a powerful anti-inflammatory property and offers a soothing, protective effect on the digestive system. Yogurt contains probiotics, which are part of the three main necessities of good digestion (the other two being digestive enzymes and fiber). Probiotics are “friendly bacteria” that help the body to digest, absorb and assimilate food properly. Probiotics also help “crowd out” harmful bacteria in the gut which can interfere with digestion. Ginger has a soothing effect on the digestive system by helping regulate and normalize the flow of digestive juices. If your natural stomach acid is regulated, you have less of a chance of occurrence of reflux. Slippery Elm is a “demulcent” or soothing herb with powerful anti-inflammatory and healing properties. When taken internally, this herb soothes the irritated tissues of the digestive system and promotes healing. DGL is a licorice herb that has had the glycyrrhizin removed so that it could be used without causing water retention or hypertension (high blood pressure). Chewable DGL is enzymatic therapy designed to support the stomach lining and intestinal tract. 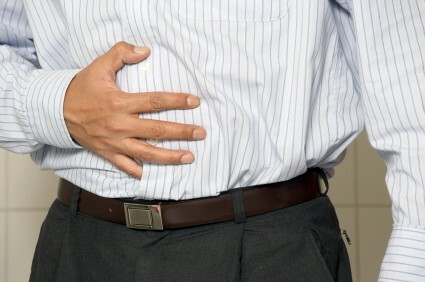 Remember, acid reflux is a sign that your natural digestive process is out of balance. Taking over-the-counter acid pills, chewable antacids and/or prescriptions will only mask the symptoms and, in the long run, make the problem worse. If you can get to the source of the problem and get your digestive system back in balance, your acid reflux will disappear naturally as your body heals. As always, if you have serious health problems and/or have medical questions, please contact your healthcare provider. So far, I’ve talked about parasites, food allergies and the benefits of digestive enzymes. Now, it’s time to talk about something called leaky gut syndrome. Many autoimmune disorders have been traced back to increased gut permeability (leaky gut). Just what is leaky gut? In a person with leaky gut, the stomach lining is more porous than it should be, allowing protein molecules to slip through the gut and enter the blood stream where it causes an autoimmune response. How can leaky gut be treated? Probiotics are live, active cultures found in yogurt, kefir and tempeh. They are the “friendly bacteria” that protect your body from invading organisms, break down food and produce vitamins in the intestinal tract. Not really. There aren’t enough live, active cultures in yogurt to give you the type of benefit you’d need to begin healing leaky gut and its related autoimmune effects. It is recommended that you supplement your diet with probiotics containing 1-20 billion CFUs (Colony Forming Units). Use a probiotic that requires refrigeration or is ‘shelf-stable’ to ensure your body is receiving an optimal dose of these live, active cultures. Probiotic supplementation has been known to not only improve proper absorption of nutrients and help heal leaky gut; it has also been linked to helping improve symptoms of those who suffer with irritable bowel syndrome, inflammatory bowel disease, ulceritive colitis, high cholesterol, high blood pressure and inflammation. It improves immune system function, prevents infection and has even been touted as an anticarcinogenic (anti-cancer). Start slow with probiotics. Begin with a dose of 1-3 billion CFUs once per day at first, and then gradually increase your dosage based on its effect on your symptoms. Some people will notice ‘die off’ symptoms similar to those being treated for parasite infection. 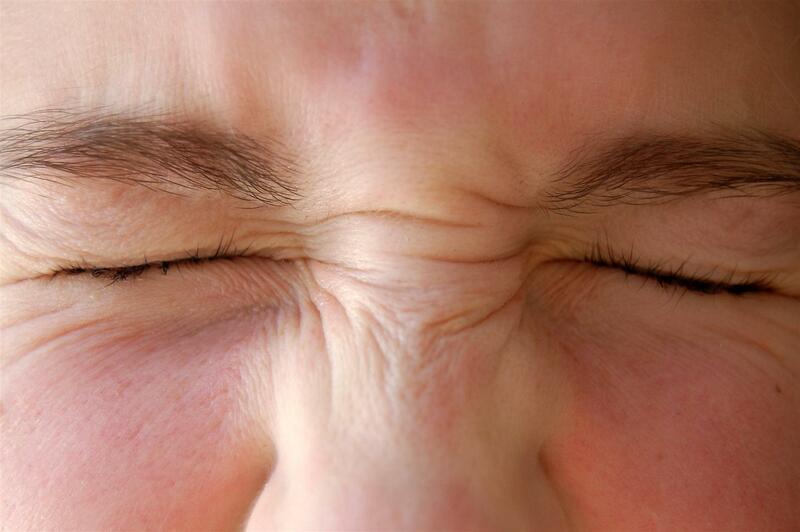 Those symptoms could be diarrhea, headache, bloating and gas as toxins are expelled from the body. This is temporary and a part of the body’s healing process. Lactose intolerant people and vegetarians should use a probiotic that is rice-based. If you have pancreatitis, consult your doctor before using probiotics. It is advisable to consult your healthcare practitioner before adding probiotics or other supplements to your diet. Fiber is a very important element in the digestive process that is missing from today’s high-fat, sugary, processed diet. Few people get their recommended daily serving of fruits and vegetables. Therefore, it is important to add this essential ingredient into our diets through a bulk fiber supplement. Bulk fiber acts as a sponge, which absorbs waste, water and toxins in the intestine. This helps form a soft, bulky stool that can be then quickly and smoothly eliminated from the body. This is especially essential for those with leaky gut and related autoimmune disease as those with these conditions produce far more toxins in the body than healthier individuals. A good bulk fiber I’ve used for years is called psyllium fiber. It can be taken mixed with water or in tablet form. Psyllium fiber helps to lubricate and heal damaged intestinal walls. There are three herbs I have personally used for my digestive health. Those are turmeric, gentain root and ginger. Turmeric acts as an anti-inflammatory and helps strengthen the intestinal walls, decreasing gut permeability. Gentain root promotes the production of gastric juices and bile. Ginger also aids in digestion by stimulating bile flow and helps relieve bloating and flatulence. If you’ve been suffering with autoimmune-related health problems, leaky gut may be the source. Help reverse the effects and you’ll discover a whole new world of good health! You are what you eat, or so the old saying goes. But if you’re not digesting what you’re ingesting, your health is suffering. Eating whole, raw foods helps start the process of digestion so your body only needs to supply a little of its own natural enzymes. The problem is, most people eat processed, overcooked foods and the pancreas has to work overtime to digest them. This places stress on the system as it spends more energy processing food than doing what it’s supposed to do; repairing damaged cells and keeping the immune system strong. This is why over-the-counter antacids and other stomach remedies are immune from the economic downturn. We’re so used to eating foods our body has difficulty processing we think that flatulence, indigestion and irregularity are normal! Not so. And this is where supplementing your diet with digestive enzymes comes in. They help the body break down, absorb and assimilate the nutrients in the food we eat. This gives our pancreas a break, which, in turn, allows the body to heal. I’ve personally experienced the wonders of digestive aids. Even after eliminating the foods I was intolerant to, I still suffered from stomach distress, muscle/joint inflammation, headaches, sinus congestion and post-nasal drip. Compared to the pain I had been in, this was still a great improvement but when I ran across an article three years ago touting the benefits of digestive enzymes, I decided I’d give them a try. The difference was like night and day. The stomach cramping and gurgling I always experienced after eating went away, I became regular for the first time in my life and the constant low-grade muscle pain that had been in the background twenty-four hours a day all but disappeared. Because of digestive enzymes, I’m no longer limited to a diet of brown rice, steamed vegetables and plain chicken. Other than wheat, gluten, corn, beans and peanuts, I can eat just about anything I want. The added bonus is since I’ve started taking digestive aids, my immune system has healed which, in turn, makes my body better able to assimilate, process and absorb foods on its own! Digestive enzymes have been known to help people who suffer from acid reflux, food allergies, Crohn’s disease, sinusitis, irregularity, flatulence, candida (yeast) and much more. If you have a weakened immune system or an autoimmune disease, you will definitely benefit from the use of digestive enzymes. Your body will spend less time struggling to process the food you’re eating and all that extra energy will go toward helping you heal. If you have never used a digestive enzyme before, start out slowly to see how you react. Some may experience loose stools as the body rids itself of toxins. This is especially true if your diet is rich in processed food. If you have an acute medical condition, consult your healthcare provider before trying any new supplement.